Brussels (Belgium), March 22, 2018 – The newest giant screen film from N3D LAND Films and nWave Pictures Distribution, Planet Power, will have its world premiere at Smithsonian’s National Air and Space Museum Lockheed Martin IMAX Theater March 22, 2018. Exploring the history of electricity, the film looks back at scientists who changed the world, like Faraday, Franklin, Edison, and Tesla. 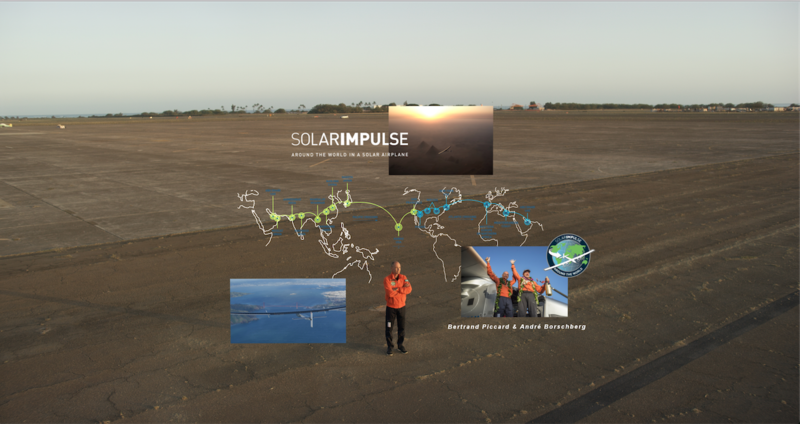 And we glimpse the future, following the journey of modern-day adventurers Bertrand Piccard and André Borschberg, the inspirational team behind the record-breaking Solar Impulse, as they pilot the first plane capable of perpetual flight, powered only by the sun. The film also explores the challenges ahead: how to meet the growing energy needs of our industrialized world while also protecting the health of our planet. By harnessing abundant renewable natural resources and applying innovative new technologies, the next generation of scientists and adventurers are working to create a sustainable and cleaner energy future. 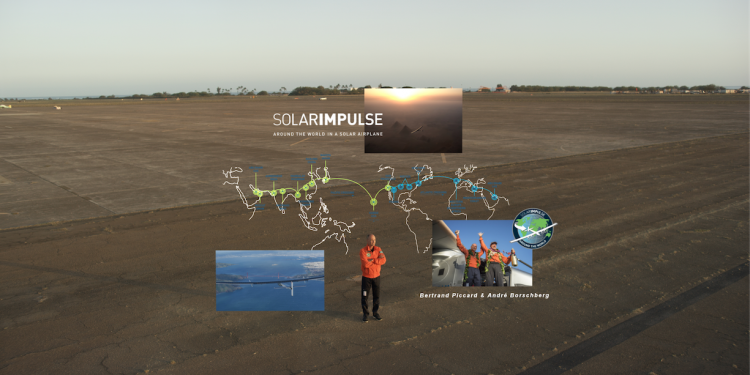 “An IMAX 3D film is an innovative and very entertaining way of storytelling, and I am sure that it is the medium that best matches the importance and greatness of what we are trying to accomplish.” – Bertrand Piccard, Solar Impulse. 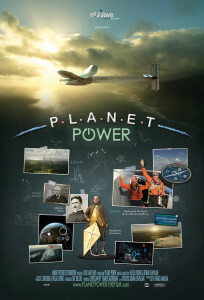 “Planet Power weaves a story of science and adventure that we hope inspires and thrills our audiences. With a unique mix of chalk animation, CGI, archival footage and spectacular aerials, and featuring an emotional musical score, the film uses the immersive giant-screen experience to its full advantage”, said Janine Baker, SVP of nWave Pictures Distribution. Produced by the award-winning N3D LAND Films, [SeaRex 3D; D-Day: Normandy 1944], and distributed worldwide by nWave Pictures Distribution [Galapagos 3D Nature’s Wonderland; Hurricane 3D; Sammy’s Adventures], Planet Power will also be featured at the Smithsonian’s Steven F. Udvar-Hazy Center Airbus IMAX Theater and the National Museum of American History’s Warner Bros. Theater, and will be released worldwide March 23 2018. Tickets for Planet Power are available at the Lockheed Martin IMAX Theater box office andthe Airbus IMAX Theater box office or online at www.si.edu/imax. Groups of 10 or more may reserve tickets now for any date during the film’s expected run by calling 866-868-7774 or visiting www.si.edu/groupsales. The Lockheed Martin Theater is located on the main floor of the National Air and Space Museum building on the National Mall in Washington, D.C., which is located at Sixth Street and Independence Avenue S.W. The Airbus IMAX Theater is located on the main floor of the Steven F. Udvar-Hazy Center in Chantilly, V.A., which is located at 14390 Air and Space Museum Parkway. The film’s official website is www.planetpower-thefilm.com. nWave Pictures Distribution is a market leader in the distribution of high quality and innovative 4D/3D attraction films, 3D/2D ride simulation films and 3D/2D educational documentaries for giant-screen theaters and digital 3D cinemas. The company specializes in producing and distributing compelling content for location-based entertainment sites and institutional venues, including the recent Colossus Productions giant screen hit “Galapagos 3D: Nature’s Wonderland”. nWave’s award-winning digital animation studio launched its first feature-length film, “Fly Me to the Moon” in 2008, and in 2017 released its sixth feature, “The Son Of Bigfoot”. nWave Studios is headquartered in Brussels (Belgium) with North American sales offices in California and Florida.